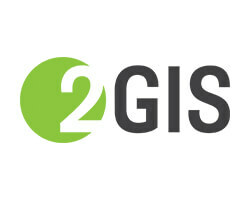 2GIS is a free digital business listing platform with navigation. Our information on cities is always up to date. 2GIS came into existence in the year 1998 and has been operating in UAE since 2014.2GIS has grown significantly over the period of time in UAE and holds up to 40 million users globally that is across 9 countries and 316 cities. 2GIS is available on all the mobile application platforms for free and it also works offline. Biologix FZco, a company organized and existing under the laws of the United Arab Emirates, was incorporated in the Dubai Airport Free Zone in September 2002 as a regional supplier and promoter of Biotechnology products. 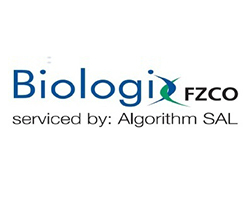 Biologix FZco is a service provider to Pharmaceutical and Biotech companies and performs Named Patient Supply, market access, promotion and sales, detailing, logistics, registration, medical and disease awareness activities including Pharmacovigilance and Risk Management Plan, on behalf of its partners in the Middle East and North Africa (MENA) markets. Biologix main partners include: Acino, Amarin, Biogen, Cardiome, Celgene, Horizon Pharma, Ipsen, Jazz Pharmaceuticals, , Orexigen, Takeda and Shire. Biologix premises are being regularly audited by the Ministry of Health in the United Arab Emirates and by its Principals and business partners. Furthermore, the company has acquired the ISO 9001:2000 Certification. For the past 15 years, Biologix has been and continues to address the needs of patients in the MENA suffering from serious and critical conditions by ensuring a fast supply of innovative products of the highest quality. Zahrawi Medical is a leading provider of surgical, medical, lab, nuclear medicine and radiotherapy, Urology & Gastroenterology solutions in UAE and Qatar. Zahrawi Medical represents more than 70 international manufacturers in the healthcare field, including but not limited to MMS, AMS, ROCAMED, Sitzmarks, Medtronic, Sysmex, Mallinckrodt, Dako, Shimadzu, Sakura, Laborie and Hitachi-Aloka. Zahrawi depend on the accurate and timely delivery of high quality healthcare supplies. 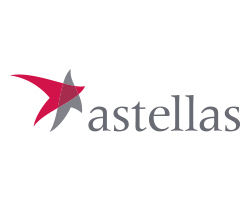 Astellas is a global pharmaceutical company dedicated to changing tomorrow by improving people’s health through developing reliable first-in-line and best-in-class therapy options in our specialization areas – Oncology, Urology, Transplantation, Anti-Infectives and Pain management. Aiming to improve the lives of cancer patients we are focusing our R&D and partnership efforts into precision medicine - more than 12 separate innovative therapies are under clinical development targeting prostate cancer and other solid tumors like breast cancer, lung cancer, and bladder cancer, as well as hematological malignancies. Established in 1977, Pharmatrade is a leading distribution company in the UAE supplying Medical, Laboratory and Pharmaceutical products from over 30 Multinational companies in the Healthcare industry. The company has in its portfolio over 5000 products from medical supplies to hospital equipment, to pharmaceuticals and consumer health products. Since its inception, the company has grown multifold and has diversified into the core sectors of the Healthcare industry providing advance distribution and marketing services with a significant market share of the total retail pharmacy prescription business in the UAE. 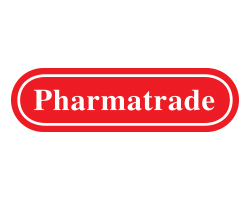 Pharmatrade has three dedicated operating divisions – medical, Lab and Pharmaceutical, which handle the UAE logistics, distribution, sales and marketing of its Principal’s products. Representing internationally recognized companies, Pharmatrade introduces new technological advancements in the Healthcare field within the country. To achieve this, Pharmatrade closely networks with hospitals, clinics and other Healthcare establishments to provide information for the marketing of these products in the region. Pharmatrade also offers an array of services and expertise to Healthcare providers in the UAE in association with our Principals. Headquartered in Dubai (UAE), the company has extensive offices and warehousing facilities in Dubai and Abu Dhabi. 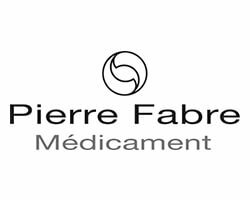 The Pharmatrade Group comprises five affiliated companies – Pharmatrade LLC, Symed LLC, Pharmaserve FZCO, Medysinal FZCO and Community Health Solutions LLC, all focused in different areas of the Healthcare sector. 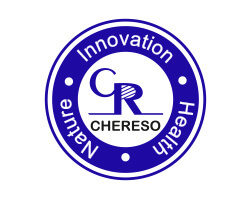 CHERESO LIFESCIENCES, incorporated in 2003, is a company dedicated to the principles of tradition, innovation and research. The Company facility WHO-GMP, ISO 9001:2008, ISO 22000:2005, Kosher, HALAL and NSF- US GMP certified. Its business focuses on manufacturing of Nutraceuticals and standardized herbal extracts as per Pharmacopoeia Standards. The company has expanded its business activities in countries like Asia, Africa, Europe, USA and other growing markets. The company has also ventured into formulations and has given shape to various innovative products. Our product range includes FENFUROTM for blood glucose management, Furocyst® for management of PCOS, Grecobe® An ultimate antioxidant, Furoslim -Weight and Lipid Regulator, Chemforce -For Overall Energy and Vitality in men, Prosman, Supports Healthy Prostate and GCB-70 for Healthy Metabolism. CHERESO has also recently entered the FMCG market with the launch of its product Grecobe as a beverage. FourMed is a group of medical supplies companies and turnkey solution provider, particularly for projects facilitating health care fields. FourMed is part of and supported by Ittihad International Investment “III Group” that is a private holding and multi-disciplinary conglomerate, engaged in a wide spectrum of economic activities. Ittihad group governs several prestigious companies in the Middle East and is strategically focused on achieving significant growth within its existing portfolio. 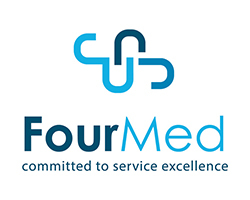 The chain of FourMed is represented by FourMed FZ LLC as the head and marketing office of the group, which has been established since 2007 at Dubai Healthcare City in the United Arab Emirates “UAE”, the operation office FourMed Medical Supplies LLC located in the capital city of the UAE, Abu Dhabi. Another branch office positioned in Amman, the capital city of Jordan. This harmonized structure of FourMed being geared up by the head office in Dubai, paves the way for continuous future expansion within the Middle East region. We at FourMed aim at supplying comprehensive solutions to our local area healthcare service providers with various medical specialties. Generally, FourMed’s working atmosphere is characterized by having different and dedicated business units operated by focused, well-trained, and experienced personnel, all of which is sustained by the company’s major supplying and manufacturing experts. And hence, the company is equipped with a competent set up in terms of customer service facilities and tools. Moreover, it utilizes the latest state-of-the-art technology to serve our daily operation in order to empower delivering non stopping, short acting, and outstanding services to our clients. Shanab is a men’s health initiative that falls under Friends of Cancer Patients’ umbrella “Kashf” for early detection of cancer, addressing prostate cancer and testicular cancer. 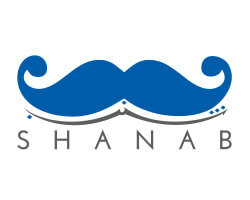 Launched in November 2014, Shanab; moustache in English, chiefly addresses testicular cancer and prostate cancer. It highlights the importance of early detection and endeavors to eliminate stigmas surrounding both types of cancer. Shanab aims at raising awareness among the target audience about the major health issues men face. It further encourages men to share their health concerns with their peers. Being the most common type of cancer among young men (15-37 years), most of men are completely unaware of testicular cancer. Worldwide, there are 48,500 new patients diagnosed with testicular cancer each year; 8,900 of these men will die. As for prostate cancer, it mainly occurs in older men. About 6 cases in 10 are diagnosed in men aged 65 or older, and it is rare before age 40. The average age at the time of diagnosis is about 66. Both types of cancer are curable if detected at the early stages. Shanab, in light of this, stresses the significance of self-examination in detecting testicular cancer. Similarly, DRE (Digital Rectal Examination)/PSA (Prostate Specific Antigen) are two major exams for early detection of prostate cancer. Shanab seeks to collaborate with various government and private entities including health authorities, corporates, sporting associations and the like, in an attempt to maximise the scope of awareness and promote a culture where health comes before any other considerations. Established in 1980, Julphar is one of the largest pharmaceutical manufacturers in the Middle East and North Africa (MENA) region, producing over 200 branded products across its twelve manufacturing facilities. The Julphar mission is to offer high quality medicines at affordable prices, whilst also working towards positioning Ras Al Khaimah as a robust and growing market with a diversified economic base. Julphar maintains a diverse product portfolio which target major therapeutic segments including endocrinology, anti-infective, cardiovascular and gastroenterology, over-the-counter, nephrology, dermatology, respiratory, metabolic and burn and wound management. 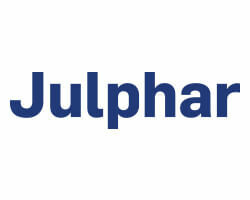 Julphar’s core business is manufacturing and over the recent years decided to focus on innovation in Biotechnology with the launch of a $150m Manufacturing Facility entirely dedicated to producing Raw Material needed for Biosimilar products. Today, this facility is the only plant in the MENA region that produces insulin using insulin crystals derived from r-DNA technology. Mediclinic City Hospital is part of Mediclinic Middle East and wholly owned by Medwledge and expertise available in its 66 sister facilities in Southern Africa and Switzerland With 249 beds, Mediclinic City Hospital can accommodate patients with a wide range of individual health requirements. We offer specialist-focused treatment in the areas of cardiology, radiology, gynaecology, trauma, nuclear medicine, endocrinology , obstetrics, neonatal care and many others. We offer advanced levels of diagnosis and treatment, ensuring every patient receives the highest levels of international-standard healthcare. 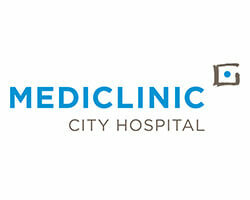 Mediclinic City Hospital has launched in 2016 its Comprehensive Cancer Centre (CCC), Dubai’s most advanced facility for the diagnosis and treatment of cancer. Built in collaboration with Mediclinic Middle East’s sister platform in Switzerland, Hirslanden, patients at the CCC will benefit from the sharing of knowledge and experience between some of the leading . In order to do this, we design and develop innovative solutions that contribute to people's well-being, from health to beauty. We achieve this by cooperating with health-care professionals, our trusted partners worldwide, by drawing relentless inspiration from nature and plants, and by placing pharmaceutical ethics at the very heart of our operations. 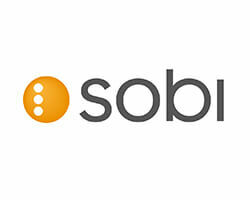 SOBI is a leading integrated biopharmaceutical company dedicated to bringing innovative therapies and services to improve the lives of rare diseases patients and their families.